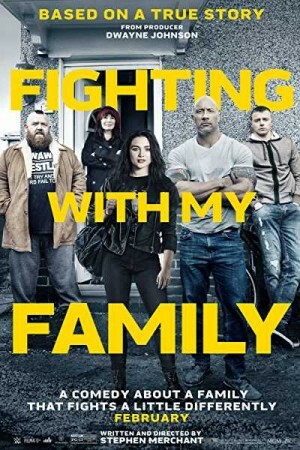 Fighting With My Family is a biographical sports comedy-drama that follows the journey of Saraya Paige Bevis, a professional wrestler through her career in WWE. Born and grown up in the household of professional wrestlers, Paige and her brother Zak dream of joining the professional wrestling platform, WWE. While both get a once-in-lifetime opportunity to try out for WWE, only Paige gets selected, which also causes a conflict between the two. Moving ahead, Paige needs to leave her family to face the cut-throat world all alone. Depicting her journey, the movie reveals how she moves from a small-time performer to the WWE Divas Champion in 2014.